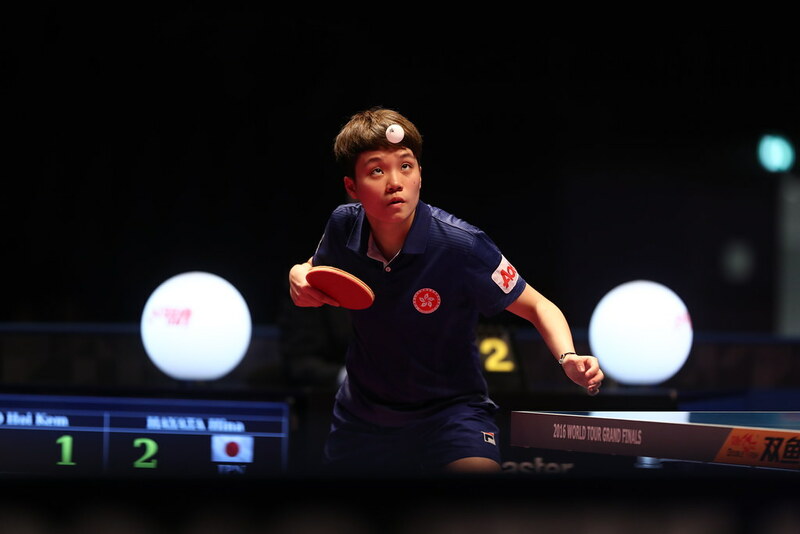 Two European champions in the group; yet it was the two players who have never gained such an accolade who finished in first and second places at the 2016 ITTF-Europe Top 16 Cup in Antibes, France and thus advanced to the quarter-finals. Against predictions, when play concluded on Friday 3rd February, the final order read Tiago Apolonia, Kou Lei, Emmanuel Lebesson and Vladimir Samsonov. Without a win to his name, in the concluding group stage contest, Vladimir Samsonov of Belarus, the no.2 seed, crowned European champion in 1998, 2003 and 2005, was beaten by Ukraine’s Kou Lei, the no.12 seed (11-9, 11-9, 11-7). It is not the first time that Vladimir Samsonov has failed to reach the last eight of the prestigious event, once known as the Europe Top 12; he experienced a similar fate in Baku in 2015 but it is the first time since he first appeared in the competition in 1995 in Dijon that he has departed the tournament without a win to his name. Defeat for one European champion, at the same time it was defeat for another; the incumbent, Frenchman Emmanuel Lebesson, the no.11 seed, was beaten by Portugal’s Tiago Apolonia, the no.7 seed, who duly completed the day unbeaten. Aspirations of a place in the Liebherr 2017 Men’s World Cup for one Frenchman dashed for another they are very much still open. Simon Gauzy, the no.5 seed, accounted for Portugal’s João Monteiro, the no.13 seed (1-11, 11-5, 11-6, 11-8) to secure second place in his group behind the unbeaten defending champion and top seed, Germany’s Dimitrij Ovtcharov. Impressively, Dimitrij Ovtcharov concluded his day’s work with victory over Denmark’s Jonathan Groth but it was a hard earned victory. He needed the full five games to secure success and only emerged victorious by the minimum two point margin in the decider (11-5, 8-11, 11-5, 9-11, 13-11).